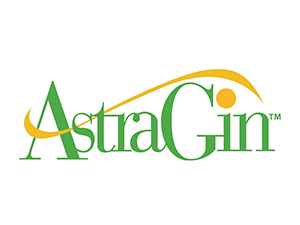 AstraGin, a patented combination of highly fractionated Astragalus and Panax Notoginseng, offers significant benefits when it comes to supplementing nutrients in your diet – especially when it comes to supplementing with amino acids. Essentially, AstraGin is the answer to the question, “How much are these supplements actually helping me?” When you’re regularly taking supplements, you might wonder how much of that supplement is actually being absorbed and put to good use in the body. AstraGin has been clinically tested to increase the absorption of amino acids so you’re getting the most out of the nutrients you take in. To begin, AstraGin isn’t a supplement that promotes good digestion. It promotes better absorption after you’ve digested the food or supplement providing your body with nutrients. Instead of those nutrients bypassing you completely, AstraGin acts as a sort of net that helps your body hold onto and absorb them, and then utilize the nutrients to increase the benefits of the amino acids you’re consuming. AstraGin works to improve absorption by increasing the molecules that absorb and hold onto nutrients in your body. AstraGin also lends a hand to the lining of your intestine, which is where most of the nutrients are absorbed. It does this by increasing the number of nutrient “carriers” that determine how many and which amino acids, sugars, vitamins, and minerals come into the cells of the intestinal walls. Essentially, AstraGin helps your body to transport more nutrients than normal. You could be putting plenty of nutrients in, and still not have enough of these “carrier” cells to do the job of making sure the nutrients get to the rest of your body. AstraGin is especially effective at allowing the body to absorb amino acids such as l-arginine and l-citrulline. This is why the top l-arginine supplements contain AstraGin and why we recommend you take a supplement with AstraGin. Learn more about which l-arginine supplements contain AstraGin here! You can also learn more about AstraGin by visiting here.